I Tweeted the other day about having to restrict my kids' internet access to ensure they go to bed, by setting time restrictions on our wifi. I've just had another person ask, "so how do you do this? ", so clearly there's a number of parents out there with the same problem. Here's how I prevent my children from accessing the internet after their bedtime. 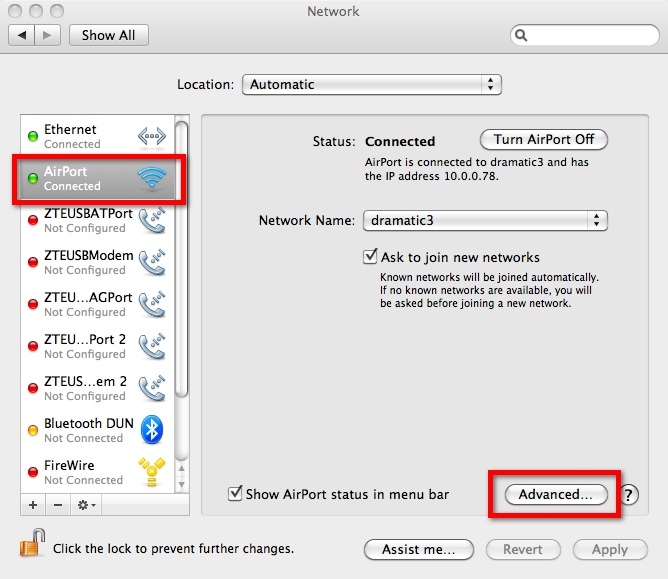 Number one point – if you don't have an Apple WiFi network, stop reading! 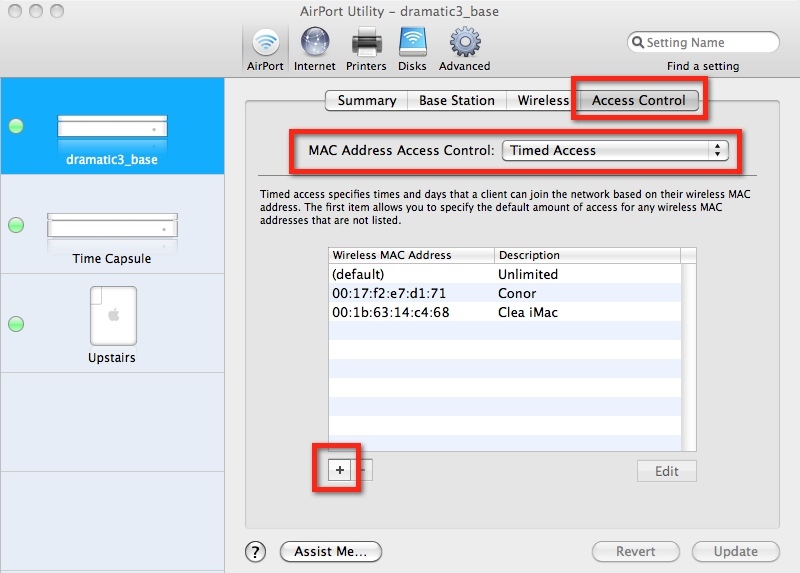 We have an Apple AirPort Extreme WiFi box providing our WiFi network around the house. I'll presume you have one or more Macs – iMacs, MacBooks etc – accessing the internet via WiFi and the AirPort Extreme. You will need to know the mac address of those computers. The mac address is nothing to do with Macintoshes, just a coincidence of naming. The mac address of a computer is a unique identifying number. On the computer click the Apple menu (top left next to the Finder option), then click the System Preferences option. When the Preferences open click the Network icon. On the Network window you should see the AirPort connection on the left hand side. If it's not highlighted, then click it. Then click the Advanced button. The window that opens should display the AirPort Id. Write this down. 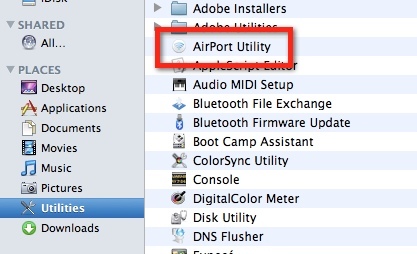 Next open your AirPort Utility. It's in the Utilities folder in the Applications folder. 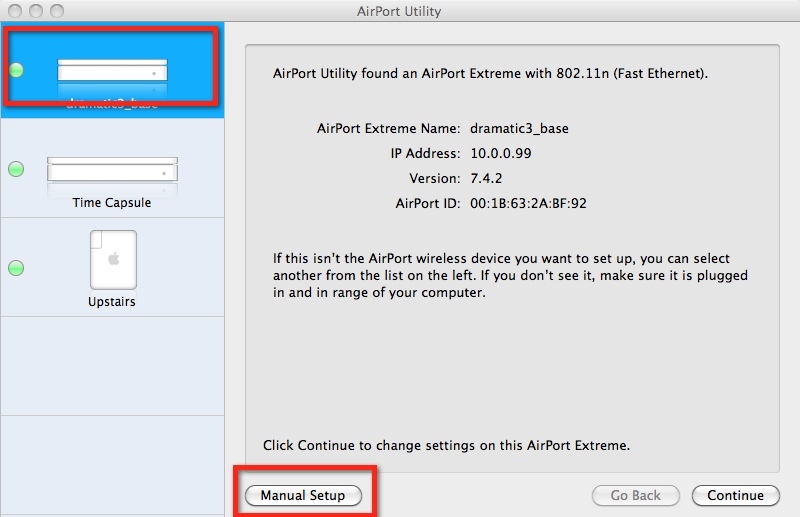 The AirPort Utility will open and your AirPort Extreme should be listed. If it's not highlighted (maybe you have more than one WiFi gadget), then click it, then click the Manual Setup button. Your Extreme settings should load and display. Click the Access Control tab at the top right. The window will display your MAC Address Access Control page. Set the Control to Timed Access. You should have a (default) entry called Unlimited. This means that if you don't set anything else up, everyone on your WiFi network can access the internet all the time. Click the + button to add a new entry to the list. 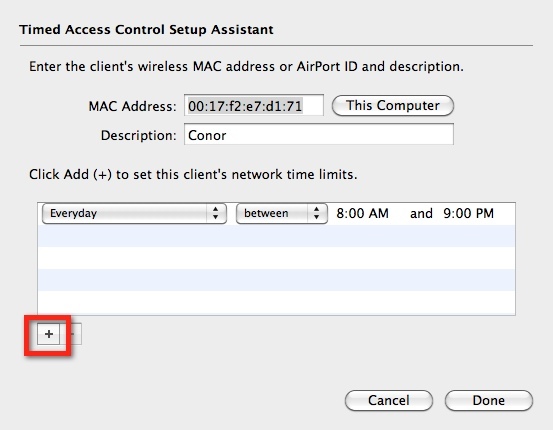 Enter the Mac address of the computer you want to restrict access for. Enter a description, then set the days and times as you wish. You can have more than one entry. For example, you might want to give the kids internet access until 9pm on school days, but 11pm on the weekends. When you are finished click the Done button to close the Access window, then cick Update. The settings will be saved to the Extreme box, which will then restart, so you'll need to wait a minute or two for everything to start working again. The only thing left is to test – which is easy. Just wait until the magic time you've designated the internet access to cease, and see how loudly your kids yell! This entry was posted in Geeky, Personal, The Net by David Eedle. Bookmark the permalink.